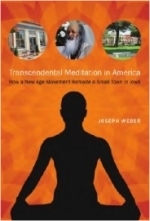 In a clear attempt to deceive with biased, poorly executed “research” TM advocates attempt to promote the use of Transcendental Meditation in schools – but his time they get caught. Space City Skeptics does an excellent job at exposing the fraud common in TM research. “The flaws in this study are numerous. The number of subjects is too small, there is no control group and it isn’t blinded. The study reveals that some of the children are on medication but it does not take into account the possibility of recent changes in medical therapy, or improved compliance while on the study. It is based purely on self-report and subjective questionairres and there is very high liklihood that a placebo effect could have been the sole responsible factor in the subjects’ apparent improvements. The authors then call for larger and better designed studies, something which I don’t think is justified for these reasons, but my problem with this study, and concerns regarding the credulous take by the media, go much deeper than what I’ve already explained. She clearly does not come across as an unbiased investigator. In reading her other responses on the “Ask The Doctors” website, and especially after listening to a 16-minute talk she gave in 2005, when this research actually took place, which is posted on a Maharishi Vedic Education Development Corporation sponsored website that focuses on “ADHD, the Mind and the Transcendental Meditation technique” called Insights in Health, it is obvious that she is a true believer. That doesn’t prove the research is bogus by itself, but it is a red flag.